LOS ANGELES, Sep. 6, 2018 — LG Electronics (LG) is bringing its own unique take on style and innovation to the BTS World Tour across the United States this fall. The BTS Studio Presented by LG kicks off this week with more than 10,000 passionate K-Pop fans experiencing the best of BTS alongside some of LG’s most forward-thinking products. The BTS Studio Presented by LG, which starts in Los Angeles this week, is the cornerstone of the coast-to-coast U.S. BTS World Tour, continuing in Oakland (Sep. 9), Chicago (Oct. 2-3) and New York (Oct. 6). BTS, the first Korean pop group to be named Top Social Artist at the Billboard Music Awards and perform at the American Music Awards, is one of Time Magazine’s 25 most influential internet sensations. 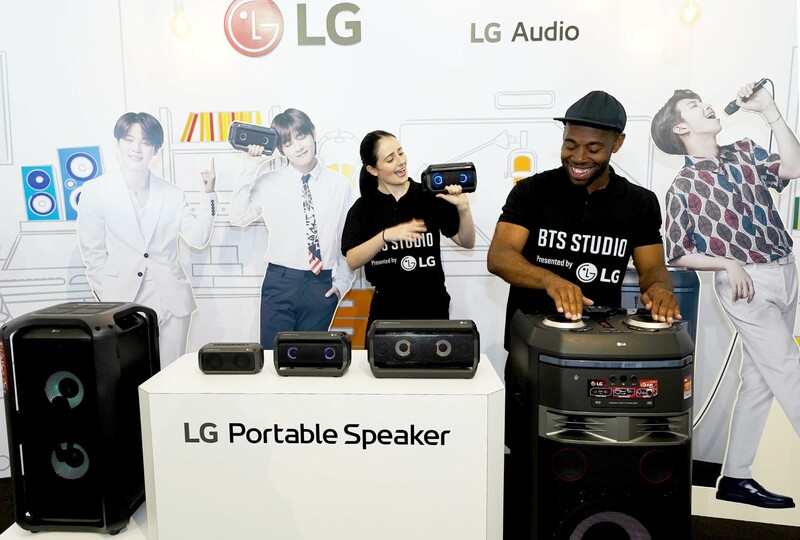 LG is partnering with BTS to highlight its brand and industry leading technologies to the group’s loyal fanbase in the United States and around the world. 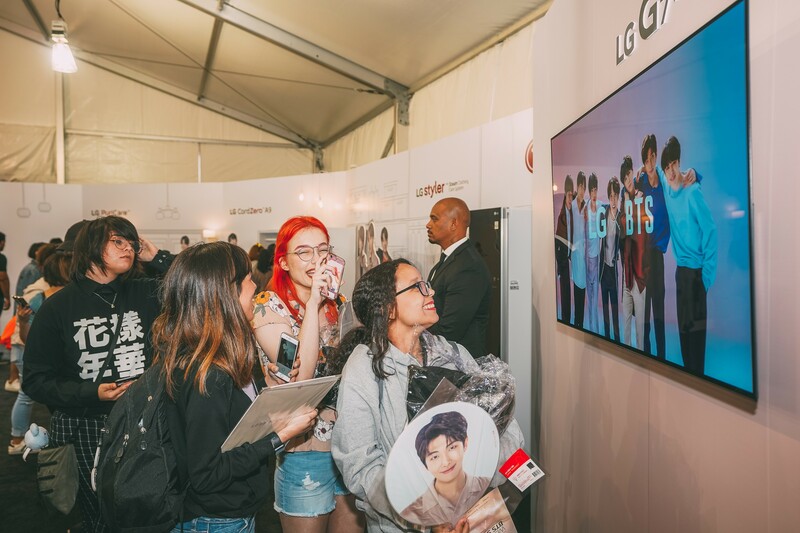 In the BTS Studio experience zone, fans can enjoy the band’s music using LG audio technology and experience innovative products such as the LG smartphones, LG OLED TV, LG CordZero vacuum, LG Pocket Photo Snap, LG Styler and LG PuriCare air purifier. The limited edition LG Q7 BTS smartphone features the BTS logo on the back and includes handwritten emojis created by the band, exclusive voice recordings from each member and a BTS Gallery featuring previously unreleased photos. 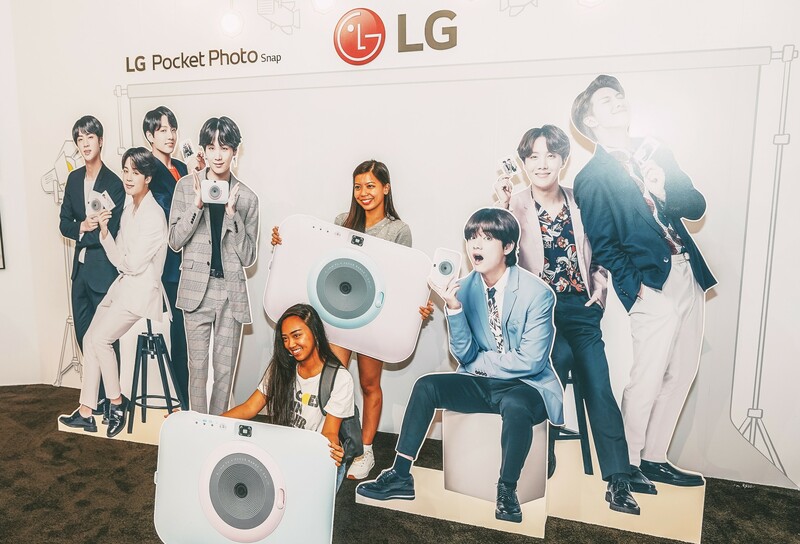 Using the BTS Studio’s photo and video booths, fans can take and print images with the group and become part of an LG G7 BTS commercial. The BTS Studio also is filled with exclusive content such as images from the filming of the LG G7 smartphone commercial, videos taken by BTS members with the LG G7 smartphone as well costumes worn by members while shooting the G7 video. Fans in the BTS Studio Presented by LG are encouraged to post pictures created in BTS Studio and share them via social media using the #BTSSTUDIOBYLG hashtag.